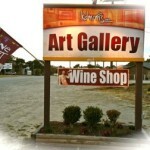 The Beach Mart is a locally owned and operated beach shop on mainland Holden Beach, NC. For over thirty years it has been the one stop shopping destination for thousands of locals and visitors seeking groceries, beach goods, beach fashion, and much more. All visitors are friends and all service is done with a smile. At the Beach Mart, your patronage is appreciated and store representatives are always willing to go the extra mile to help you find just the right item.